Note I did NOT make this team. 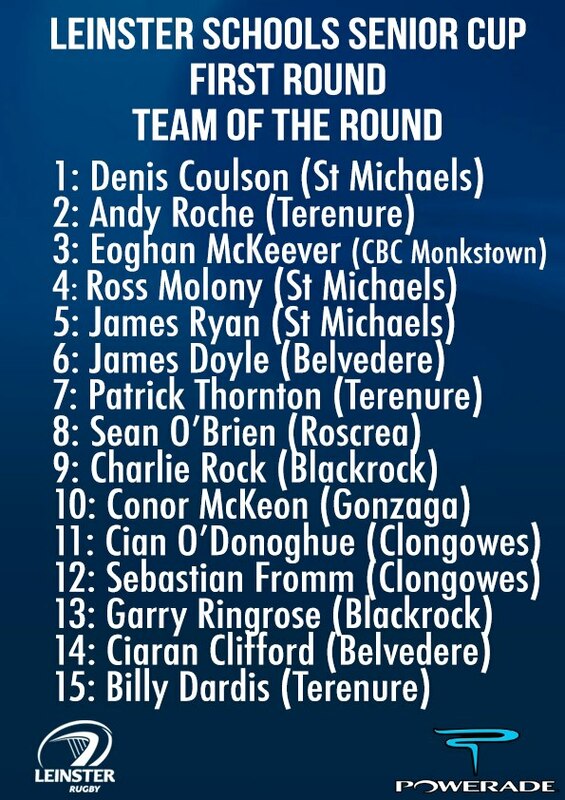 This is from the "Leinster Schools Senior Cup Facebook Page"
I certainly do not disagree with the choice of players, I do however think that there are many players forgotten in the Line up. In the St Michales Match against Castleknock College, flanker Jack O'Neill played exceptionally well, withstanding the fact that he was injured from the first phase almost, he is a stereotypical flanker, being at the right place at the right time, and intelligent in his decisions he made. Obviously not enough ? In the Clongowes match versus St Gerard's, outhalf Fergal Cleary orchestrated well his backline. His passing was on form and decision making correct. 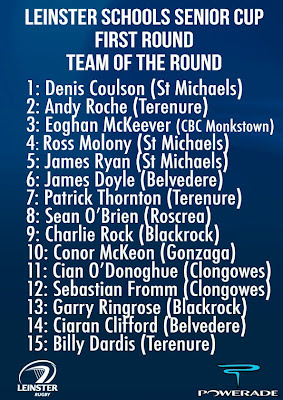 Ringrose was impressive, and not just with his goal kicking, though 7 for 7 in the swirling wind at Donnybrook would get anyone's attention!